The country is known with the name of “The Spice Isle”. The name Grenada is derived from a Spanish term ‘Granada’, which means ‘Pomegranate’. It is located in southernmost end of Windward Island in the Caribbean. It covers an area of 344 sq. kms with a population of 102 million people, where majority of the population is of African descent. Grenada was discovered by Christopher Columbus in 1498. After a chain of its historic timeline, Grenada then became a British colony until February 7, 1974, when independence was declared. Grenada is inundated with many amazing things to see like waterfalls, lakes, forts, spice estates, spice gardens, floral gardens, and plantation houses, etc. 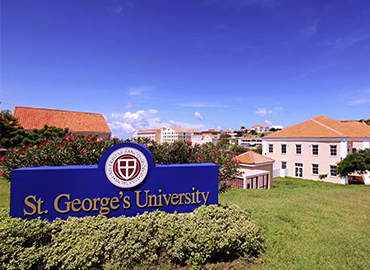 As far as education is concerned, then it has a renowned name for delivering one of the finest Medical Education in the Caribbean. Main sectors of Grenada’s Economy- Production of Spices, Manufacturing & Tourism. Other sectors famous- It grows an abundance of tropical spices, including nutmeg, cloves and pepper. Nutmeg is not only a culinary spice but also has medicinal property with high economic value. Weather- Tropical climate, hot and humid all year round, with a relatively cool and dry season from January to mid-April and a hot, humid & rainy season from June to December. Tourists attractions- Grand Anse Beach, Underwater Sculpture park, Fort Frederick, Fort George, Carenage, etc. Recognition of Medical Degrees- Indians can easily practice their medical career in India upon their degree completion as Grenada offers globally recognized degrees by Medical Council of India (MCI), International Medical Education Directory (IMED) and enlisted with World Directory of Medical Schools (WDOMS).